You would be hard-pressed to find a batsman who likes starting an innings, or even batting at all, during the last few overs of a day's play. The same applies to starting an innings just before a scheduled break in play. Batsmen and captains must believe that it is difficult to bat at the end of the day - otherwise we wouldn't have nightwatchmen - but is that actually true? What do the stats say about batting in the last overs, as opposed to early on the next day? One way to look at this is to examine how hard it is for teams that start an innings in that "difficult" short session at the end of the day. There is a perception that bowlers have a distinct advantage in this phase of play, and declarations late in the day are still enforced regularly. 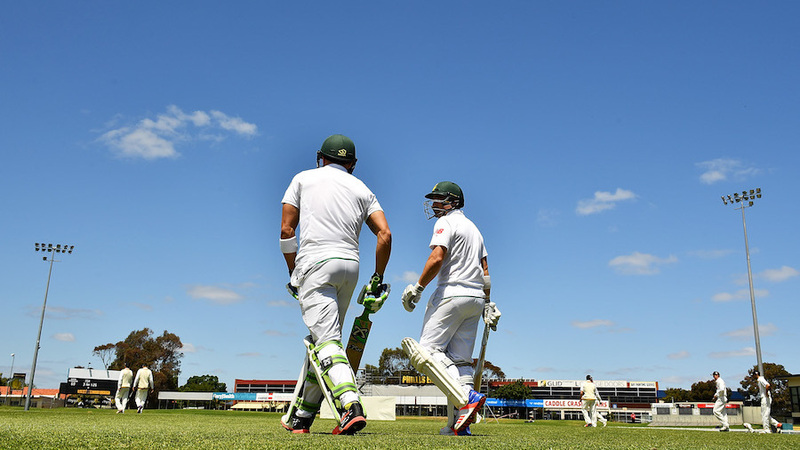 Captains have recently declared even late on the first day of Tests in order to apply some sort of pressure in the final overs: Australia in Hyderabad in 2013, and South Africa in Adelaide in 2016. Neither instance resulted in any wickets, and both teams went on to lose the match. Australia lost the Hyderabad Test by an innings, the first time a team had done so after declaring. To look at this statistically, I took 95 cases of teams batting six overs or fewer at the end of a day of more than 80 overs, on days one, two and three, since the start of 1998. I compared them to the results for teams starting an innings at a more "normal" time (many hundreds of cases). I subdivided the results into teams batting one to two overs, three to four overs, and five to six overs. The table compares the average number of wickets falling under the two scenarios: end-of-day start versus normal start. There is a slightly elevated chance of getting a wicket if you leave a team four overs or fewer to bat at the end of the day. However, this advantage is reversed when there are five or six overs remaining. Overall, the effect is weak, and the fluctuations are probably due to chance and the somewhat restricted sample size. It is very hard to see any significant advantage in asking a team to bat for the last few overs of the day, although captains might still discern a marginal benefit. 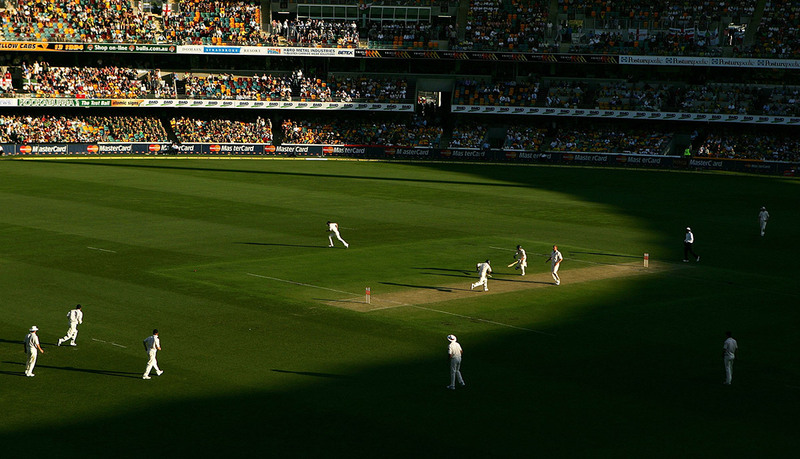 On a broader scale, we look at the number of wickets falling in the last few overs of a day as against the number of wickets falling in the first few overs of the following day, regardless of whether or not a new innings began. Comparison can be tricky, so I selected Tests with 80 or more overs on each of the first three days and lasting well into the fourth day, since 2007. The comparison was limited to the first three days, plus the morning of the fourth. Tail-end wickets (Nos. 8, 9 and 10) were excluded, to focus on recognised batsmen, and to avoid days where play ended early after teams were all out. As it happened, exactly 200 Tests met the criteria. Generally, the number of wickets falling towards the end of a day was similar to the number falling early on the next. There were a total of 368 wickets in the last ten overs of days one, two and three in the Tests covered, as against 375 wickets in the first ten overs of days two, three and four. Looking at windows of five overs, there were 192 wickets in the last five overs of days one, two and three, versus 189 wickets in the first five overs of days two, three and four. So it would appear that there is an elevated chance of getting out in the last three overs, compared to the first three overs the next day. Does that mean batsmen's fears are justified? Not really. The actual chance of getting out in the last over is no different to the general incidence in the last ten overs, or the first ten overs the next day. The difference arises because there is an unusually low incidence of dismissals very early in the next day, perhaps the effect of bowlers warming up. Within a few overs of play starting, though, the incidence of wickets rises to normal levels. There may be other reasons; for one thing the effect was a little stronger on day three than on days one and two. This may be real, or a statistical blip, since there is a risk of subdividing the data too much. The same problem arises when looking at specific teams or bowlers. Slice and dice stats enough and you can "prove" almost anything, but you may simply be looking at chance fluctuations. In a similar way, I looked at wickets falling immediately before and after lunch. In this case we are looking at wickets on the same day, namely days one, two and three. I did not exclude Nos. 8, 9, and 10 in this calculation, so the numbers are somewhat higher. Once again, there is little effect to speak of, except in the very last over before lunch. While it is something to ponder, it is possible that the effect is elevated by umpires calling lunch after a wicket falls, when there might have been another over without the wicket. Declarations at lunch (or stumps) will tend to be followed by reduced numbers of wickets immediately afterwards, as the new innings will start with recognised batsmen. A common ploy that captains use is to change bowlers for the last over before lunch, sometimes bringing on a part-timer. I analysed over 700 cases of this being tried. However, when compared to the (more numerous) cases of no bowling change an over before lunch, it fell a bit flat. The no-change cases had a strike rate of 85 balls per wicket in the last over before lunch, while the change bowlers took slightly fewer wickets, with a strike rate of 88. The stressful part about batting at the end of the day, or just before lunch, is that it seems to be all risk and little reward. Getting out in the final overs brings more misery than survival brings happiness. The stress is mostly psychological, however, and batsmen, for the most part, seem to be able to weather it. How often do you see a long partnership where the dismissal of one player is followed closely by another wicket? Whenever it happens, it is almost guaranteed that a commentator will remark that this is commonplace. 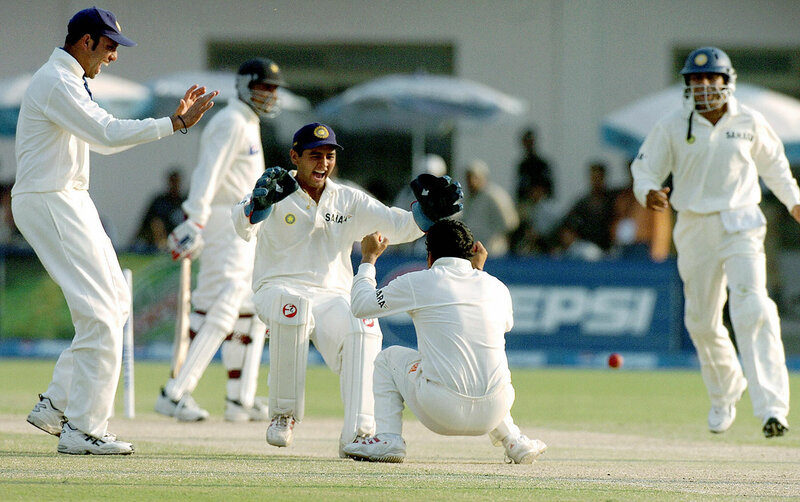 A prime example is Sanath Jayasuriya and Roshan Mahanama batting through two full days of a Test in 1997, and getting out within two balls of each other, on a score of 615. Anecdotally, one can find many similar - if not quite so extreme - cases. However, more often than not, a big partnership just makes it easier to continue scoring. The table below shows how follow-up partnerships perform in different situations. This is limited to partnerships involving top-order or middle-order batsmen. Unbroken follow-up partnerships have been treated as "not outs" in calculating averages. The effects are similar if you restrict the data to innings where the not-out batsman from the big partnership falls before the new batsman (data is not shown, but quite similar to the above table). In fact, after large partnerships, it is the next batsman in who is the more likely to get out first, by a ratio of 54:46. There is no tendency for a batsman in a big partnership to quickly follow his partner back to the pavilion. The trends are clear. The bigger the partnership, the bigger the next partnership is likely to be, and the chances of the next partnership failing declines. Players in big partnerships are not prone to losing their wickets in pairs.